The difference? One night, I was eating just for myself. The other night? Why, I was playing hostess! The Hostess Effect is an official term (that I completely made up) to describe the discrepancy between the standards you have for yourself vs. the ones you have for your guests. As a proud Southern gal, I assume most people show extra hospitality when guests are in the house. But I find that this phenomena is especially pronounced in college kids and twentysomethings in their first few apartments. Why? Part of it is having something to prove, both to others and ourselves. For many of us, this is our first time playing house. My dinner with Rebecca is the perfect example of the Hostess Effect. I wanted to cook her a real meal to show off that I’m a “capable adult”. Yet, after she was gone, I reverted to the eating habits of a 13 year old. So much for adulthood. Another is something I discussed in this post. College kids dramatically scrimp on necessities (like toilet paper) and splurge on fun purchases (spring break trips). I’m much more willing to splurge time and money on something fun, like cooking dinner for a friend, than on feeding myself. The third? With friends just around the corner and lots of free time between classes or after work, playing hostess is just a part of the social scene. My favorite memory of college is a Thanksgiving dinner my friends hosted at their house. 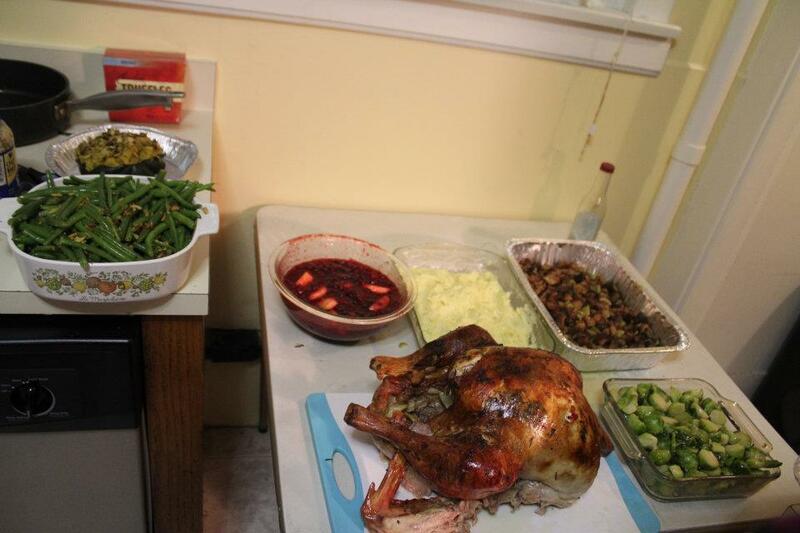 No one had ever roasted a turkey, fed over 15 people or cooked for a day before. The guest list was pretty open and people brought whatever they thought was needed (aka alcohol). The best part? We didn’t have a kitchen table. Imagine twice as much food as this…. Surprisingly to us, and the mothers we called for advice throughout the day, everything went off without a hitch. It was a truly great day, brought to us by the Hostess Effect. So, how can marketers use the Hostess Effect to their advantage? If your product can be used to throw a nice little dinner party, show it in that light. 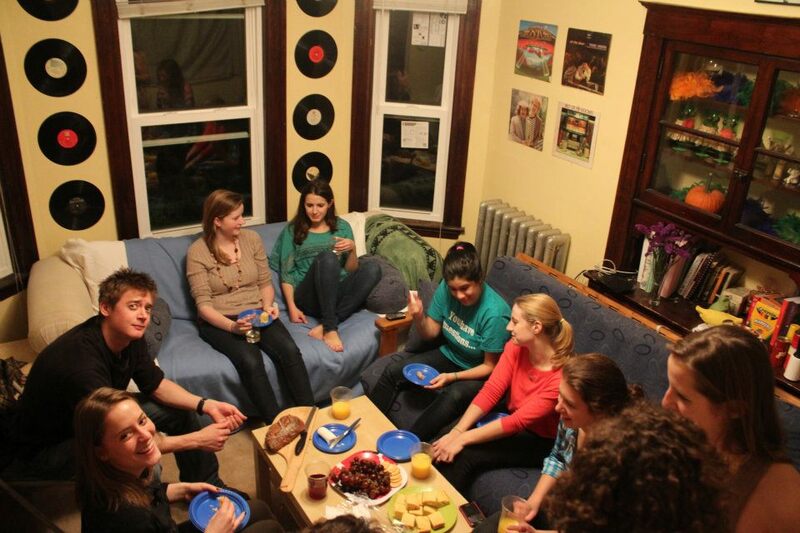 College kids and young twentysomethings don’t know what they need to properly host parties (hence the lack of kitchen table), but we’re dying to throw them. Show your product is a necessity and we’ll probably believe you. If your product is more the self-serve route (ie, no one will ever throw an EasyMac party), emphasize convenience and price. We don’t care about value as much in that case. Bonus points for single servings and space-conserving packaging.